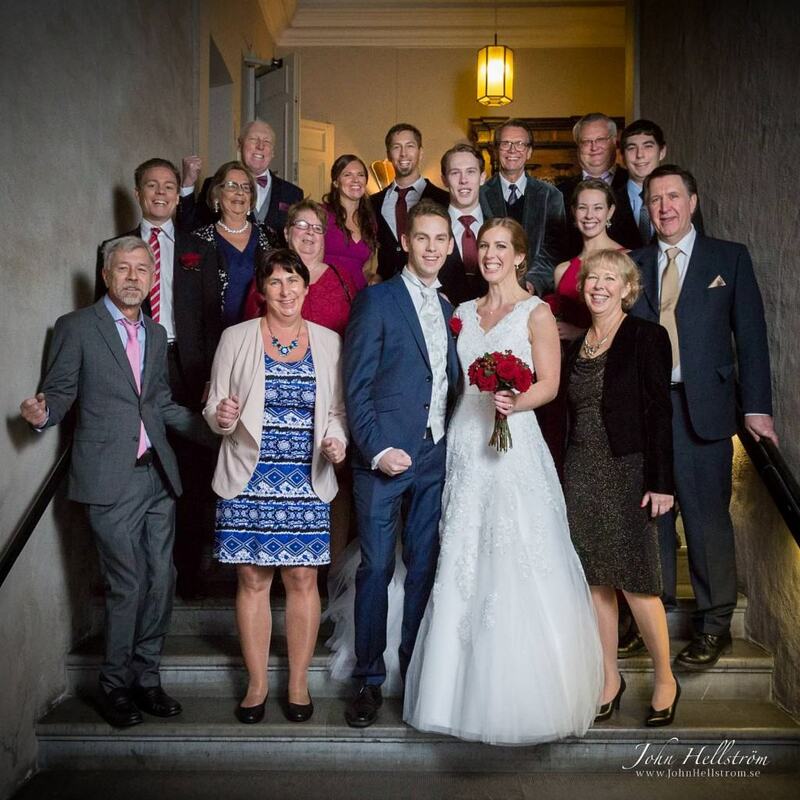 I met up with the wedding couple Camilla and Johan in Villa Pauli, along with their friends and family. Villa Pauli is a very beautiful house in Djursholm right by the sea, in Stockholm, Sweden. They have a restaurant, a hotel, a conference and a banqueting rooms in a unique and historic setting. We went out to the archipelago just outside Villa Pauli, to photograph outdoors a few minutes before darkness came. Camilla and Johan came into the church to a Gotländsk wedding march. 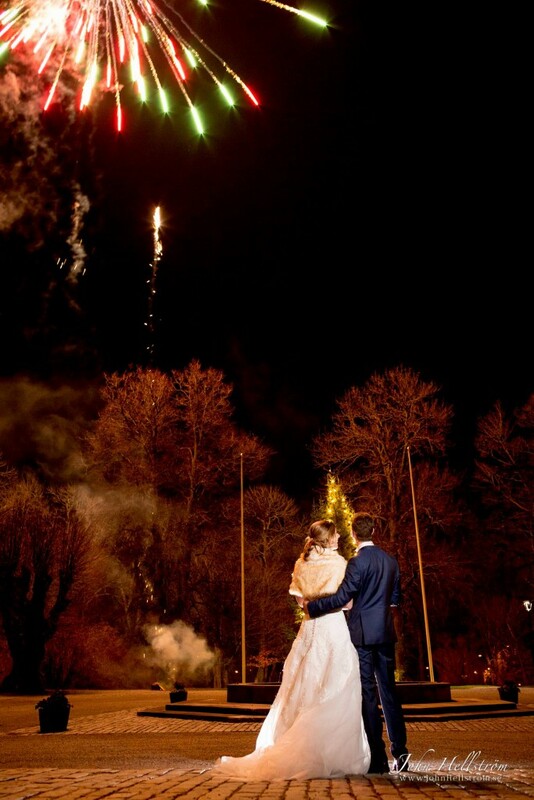 The wedding couple shimmered when they became husband and wife. Catrin was the bridesmaid and Johan was the best man, standing on the sides of that altar. Carl read a poem for them, and their family and friends. Maja and Lena played and sang "För kärlekens skull", by Ted Gärdestad. Danderyd church first part was built in the early 1500s. 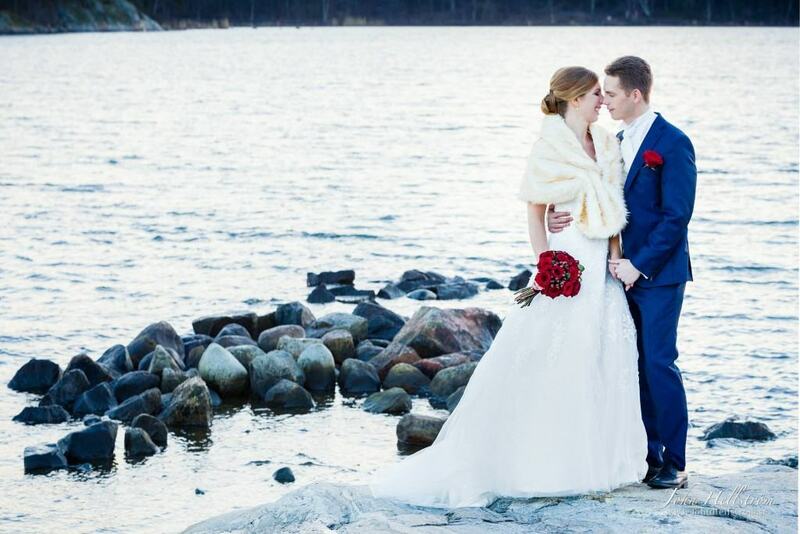 The reception took place in Djursholm castle, where the wedding the couple went to a Porsche. The castle in Djursholm have structural elements from the late Middle Ages. At a rebuild during 1600's first half got it its present extent and form. The family says hipp, hipp, hooray! See more pictures from the wedding on Instagram with the tag # COJ2014. My photographs are inside the Instagram account johnhellstromphoto.